Our member contractors are extremely educated, highly professional and the most high-quality, cost-efficient contractors you will find. MCA’s unique Gold Standard Safe designation means our members go the extra mile to prove their commitment to safety. When you work with an MCA of Chicago member company, you know you can trust them with your next job. 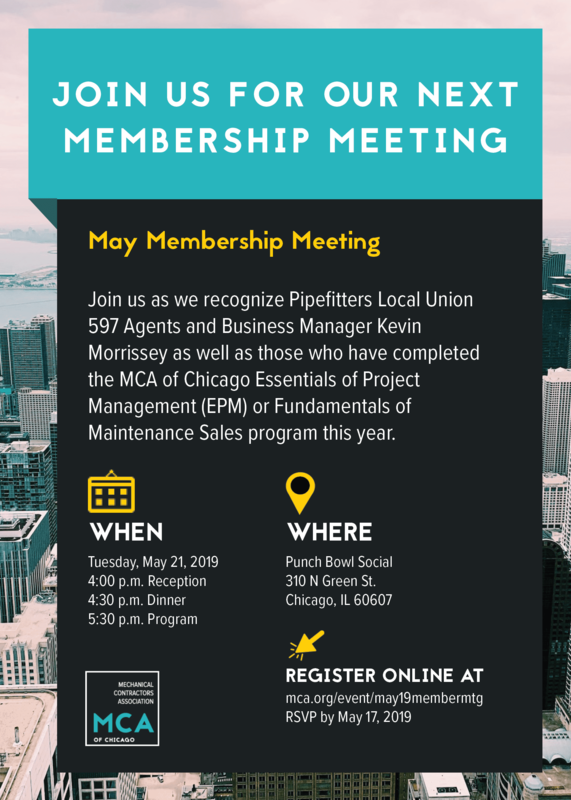 Join us at Punch Bowl Social as we recognize Pipefitters Local Union 597 Agents and Business Manager Kevin Morrissey as well as those who have completed the MCA of Chicago Essentials of Project Management Sales program this year. 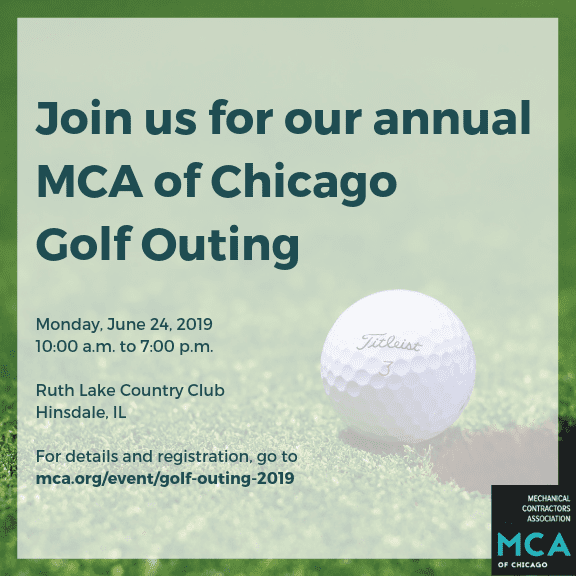 Join us for our annual MCA of Chicago Golf Outing on June 24, 2019 at Ruth Lake Country Club. Go to https://www.mca.org/event/golf-outing-2019 for details and registration. Join us at Joe's Live! for a casual dinner celebrating women in the construction industry. 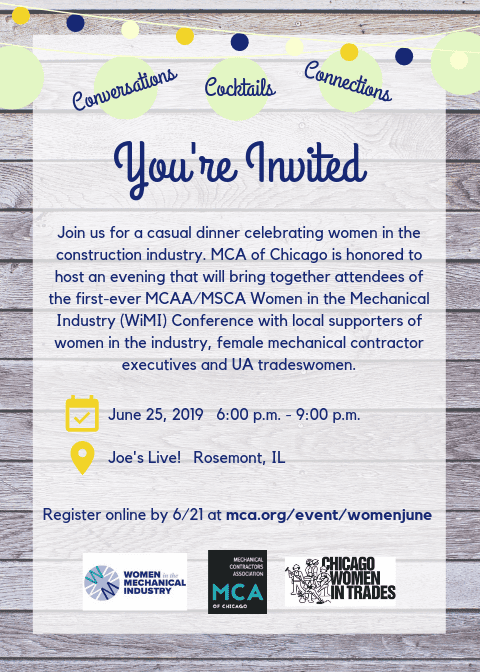 MCA of Chicago is honored to host and evening that will bring together attendees of the first-ever MCAA/MSCA Women in the Mechanical Industry (WiMI) Conference with the local supporters of women in the industry, female mechanical contractor executives and UA tradeswomen. Learn about our wide variety of educational offerings. Discover our committees, what they do and how to participate. View new and upcoming events. Stay up-to-date with important industry news. High safety standards are what set us apart. Get to know MCA of Chicago.